This is a rectangular Old Dutch Cleanser porcelain sign. This particular Old Dutch Cleanser sign is predominantly red and yellow with white text. 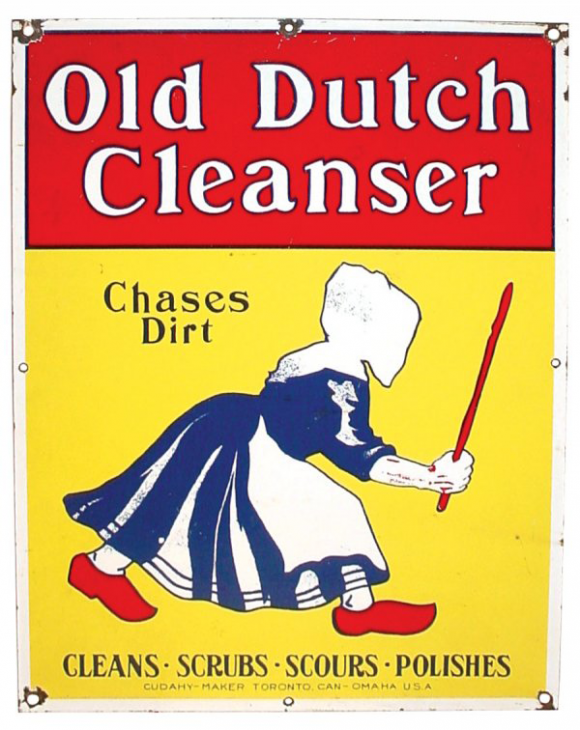 It reads, “Old Dutch Cleanser Chases Dirt, Cleans – Scrubs – Scours – Polishes” and features the back of a Dutch woman wearing red clogs in the center.